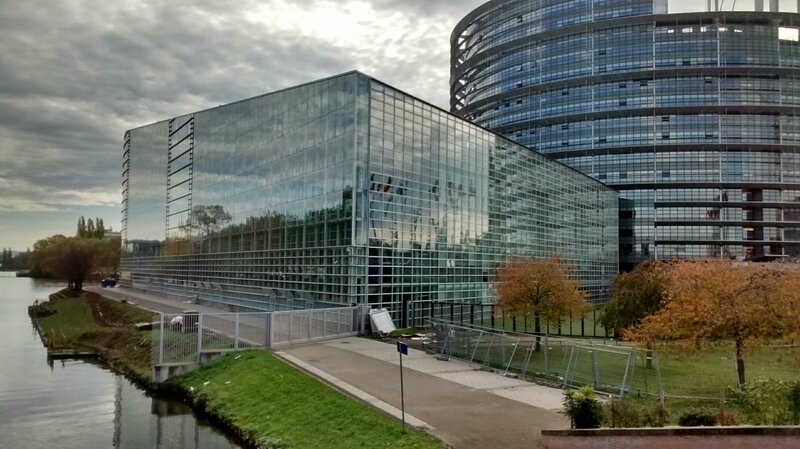 Strasbourg, focus of Franco-German emnity since the Franco-Prussian War of 1870-1871, changed hands four times between then and the end of WWII. 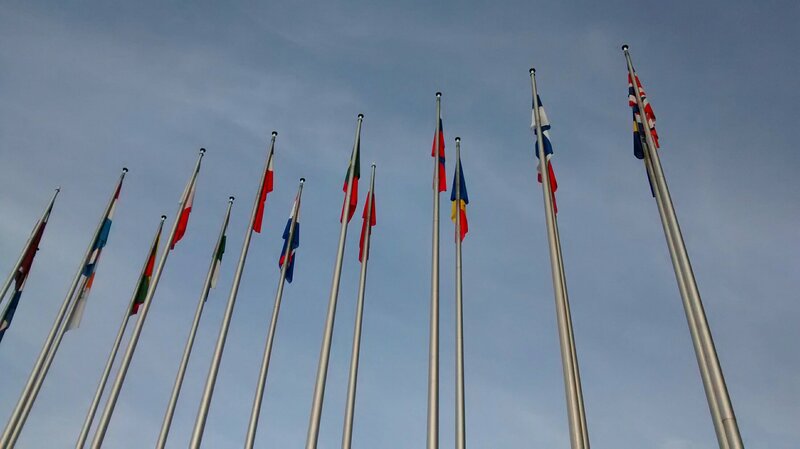 It seems fitting that this city, the focus of so much strife and discord, should now be a seat of the European Union, a body which for all its differences seeks to foster cooperation and work towards mutually agreed policies. 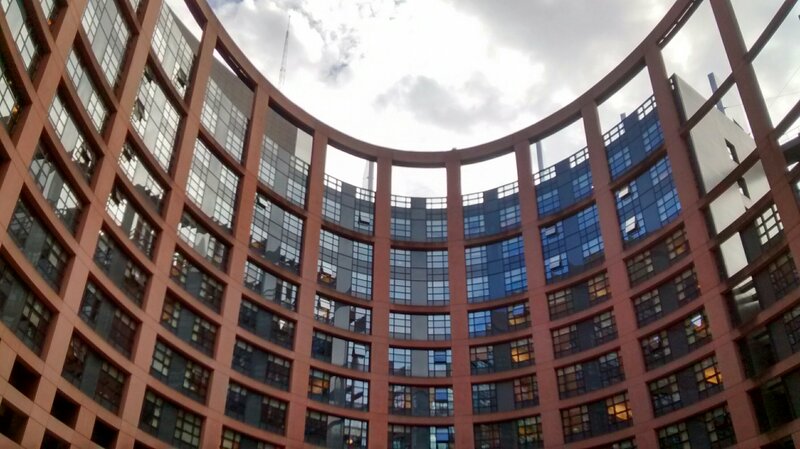 After a too-brief visit to Strasbourg itself (and we’ll be back – what a city), there we were, at the vast complex of the EU Parliament. It offers employment to armies of staff who support the 751 MEPs from the now 28 member states. You need someone who can offer simultaneous translation from Polish to Greek, or Hungarian to Portuguese? Best look here. This is a truly vast community, with meeting rooms, TV studios, offices, coffee shops, technical support, IT suites: all staffed by the most cosmopolitan bunch of people you could ever hope to meet. 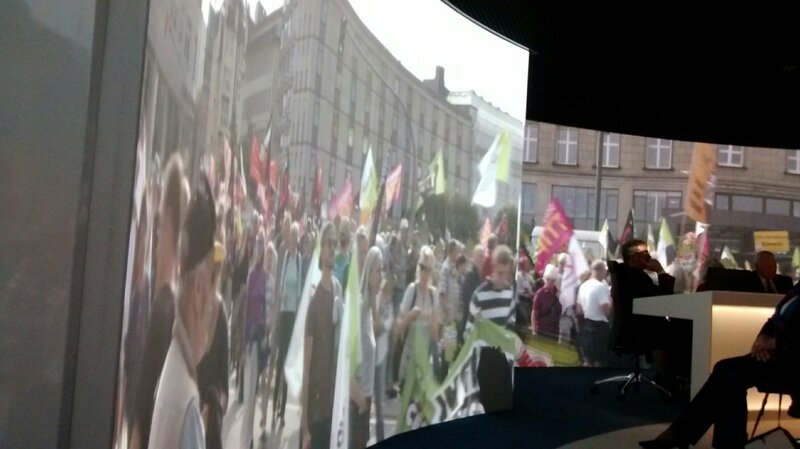 We had a background lecture, and a rather exciting 360 degree film. We had a meeting with our own hard-working and committed Europhile MEPs Linda MacAvan and Richard Corbett. And then we went into the Parliamentary Chamber. The debate was about immigration, the contributors from every corner of the EU, and almost every language (those simultaneous translators in their glass-walled studios were kept busy). Views expressed ranged from the near-fascist, to the liberal, moderate and inclusive. Nigel Farage wasn’t there. Funny, that. And I left feeling more wretched than I have since the dreadful morning when we woke up to hear that the UK – by the smallest of margins – had voted to leave the EU. It’s by no means perfect, but here in the EU we have a body fostering almost Europe-wide cooperation rather than conflict, working towards common progressive employment, economic, environmental and human rights practices. And we plan to leave? What for? We’re in mainland Europe again, briefly. Our two Labour MEPs for Yorkshire and Humberside host a group visit to the European Parliament every now and then. So we had to sign up. Last chance saloon. And after a night on the high seas, a day in a coach, here we are. Not in Strasbourg, not even in France, but nearby, in Germany, in the Black Forest. Watch this space. 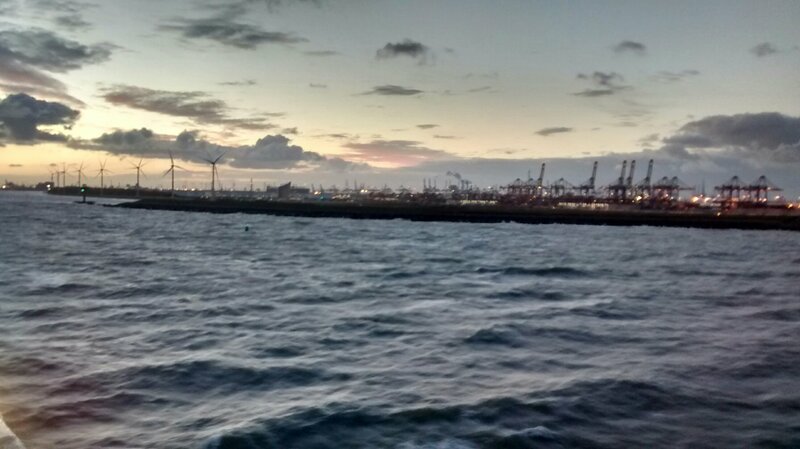 Approaching the port of Rotterdam at dawn yesterday.